The Brazilian Atlantic Islands of Fernando de Noronha and Atol das Rocas Reserves are part of Brazil's Pernambuco and Rio Grande do Norte states. 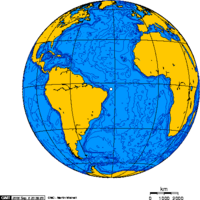 Located in the South Atlantic Ocean, they are a part of the Mid-Atlantic Ridge. Fernando de Noronha is the main island in an archipelago of the same name. The archipelago consists of 21 islands, islets and rocks of volcanic origin, and the visible peaks of a range of submerged mountains. They are approximately 354 km (220 mi) east of the mainland. The Rocas Atol is located 145 km (90 mi) west of Fernando de Noronha, and approximately 232 km (144 mi) from the mainland. Located in the open ocean between the South American and African continents, they are important to marine life, providing a key location for feeding and reproduction. Due to their remote location, they remain largely undisturbed by human activity. The resident population of Fernando de Noronha is less than 3,000 people, and its tourism is regulated. Rocas Atol is a wildlife sanctuary and biological reserve; it is uninhabited and used solely for scientific research. These Brazilian Atlantic Islands represent a large proportion of the island surface of the South Atlantic and are known for their abundant marine life and avian diversity. The surrounding waters provide rich habitat for the breeding and feeding of tuna, shark, turtle and marine mammals. The Baía dos Golfinhos area of Fernando de Noronha is home to the world's largest known population of resident dolphins. The largest concentration of tropical seabirds in the Western Atlantic live on the islands. The spectacular seascape make this a favorite destination for scuba diving, recognized by divers the world over. The Fernando de Noronha archipelago and the Rocas Atoll were designated a UNESCO World Heritage Site in 2001. This designation serves to protect the environment from potential overfishing and excessive tourism development, while allowing for scientific study. Controversies surround the archipelago's discovery by Europeans. From its original name, Ilha da Quaresma (Lent Island), it was sighted by expeditions in the years 1501, 1502 and 1503. The Viscount of Santarém, however, attributed the discovery to Gaspar de Lemos, captain of the supply ship of Pedro Álvares Cabral's fleet, sent back to Portugal with news of the discovery of Brazil. Modern historians, however, credit the 1501-1502 expedition led by Fernão de Noronha with the discovery of the archipelago. 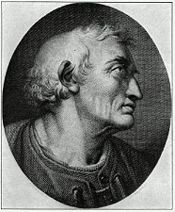 Amerigo Vespucci, the first European to provide detail of the islands of Fernando de Noronha, whose letters popularized the concept of the New World, and after whom the newly discovered continent was ultimately named. In 1534, the Fernando de Noronha Archipelago was invaded by the English, and from 1556 until 1612, it was held by the French. In 1628, it was occupied by the Dutch, who were displaced two years later by a Spanish-Portuguese military expedition led by Rui Calaza Borges. The Dutch occupied the island once again in 1635, making it a hospital for their troops who occupied Northeastern Brazil (the Brazilian coast between Rio São Francisco and Maranhão). The island became known as Pavonia, in honor of Michiel de Pauw, one of the directors of the Dutch West Indies Company. It would remain under Dutch control for nearly 20 years, when it was reconquered by Portugal. Finding it uninhabited and completely abandoned in 1736, the French East Indies Company took the island and renamed it Isle Dauphine. Only from 1737 on, after the expulsion of the French, Fernando de Noronha was definitively occupied by Portugal. This time it was decided to fortify the island. For this purpose, ten forts were built in all strategic points where a possibility of disembarkation existed; nine in the main island and one in the Ilha de São José situated in front of the Saint Anthony harbor. The forts were connected by a network of stone roads. This defense system was planned by the Portuguese military engineer Diogo da Silveira Veloso. In approximately 1770, the first permanent settlement on the island, Vila dos Remédios, was founded. The village was divided in two units (pátios); one which consisted of the administrative buildings, and the other which contained a the church and the associated religious buildings. Charles Darwin’s historical five-year Beagle expedition in the 1830s included time spent on Fernando de Noronha. His observations resulted in subsequent visitations by other researchers. When Brazil gained its independence in the late nineteenth century, little change occurred on Fernando de Noronha. At the beginning of the twentieth century, the British arrived to provide technical cooperation in telegraphy (The South American Company). Later the French came with the French Cable and the Italians with Intalcable. 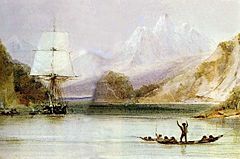 Charles Darwin's HMS Beagle surveyed the coasts of South America. In 1942, during World War II, the archipelago was made a Federal Territory that also included Rocas Atoll and Saint Peter and Paul Rocks. During this time, political prisoners joined civilian detainees at the local prison, which was constructed in the late eighteenth century when the island began its service as a Portuguese penal colony. From 1957-1962, the Brazilian government allowed the United States to use the island as a tracking station for guided missiles. In 1988 approximately 70 percent of the archipelago was declared a maritime national park, with the goal of preserving the land and sea environment. On October 5, 1988, the Federal Territory was dissolved and added to the state of Pernambuco (except Rocas Atoll, which was added to the state of Rio Grande do Norte). Fernando de Noronha's economy depends on tourism, restricted by the limitations of its delicate ecosystem. The archipelago has been the subject of the attention of various scientists dedicated to the study of its plant and animal life as well as its geology. In 2001, UNESCO declared Fernando de Noronha, with Rocas Atoll, a World Heritage Site. The islands of the Fernando de Noronha archipelago are the visible peaks of a range of submerged mountains. Consisting of 21 islands, islets and rocks of volcanic origin, the main island has an area of 18 square kilometers (7 sq mi), being 10 km (6.2 mi) long and 3.5 km (2 mi) at its maximum width. The base of this enormous volcanic formation is 756 meters (2,480.3 feet) below the surface. The main island, from which the group gets its name, makes up 91 percent of the total area; the islands of Rata, Sela Gineta, Cabeluda and São Jose, together with the islets of Leão and Viúva make up the remainder. The main island's western coastline contains cliffs with sandy beaches, extensive sand dunes occur in the east, Saco de Atalaia contains a tidal pool, and the southeast has a freshwater lake. Highly alkaline and subsatured volcanic and subvolcanic rocks are the primary make-up of the archipelago. 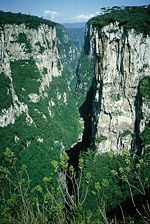 The region's dry season runs from December through February, during which time many small springs and streams disappear. Rocas Atoll (Atol das Rocas) is an atoll in Brazil's Rio Grande do Norte state. It is located 145 km (90 mi) west of Fernando de Noronha, and approximately 232 km (144 mi) from the mainland. A wildlife sanctuary and biological reserve, it is uninhabited and used solely for scientific research. Along with the Fernando de Noronha archipelago, Rocas Atoll was designated a UNESCO World Heritage Site in 2001. Of volcanic origin and coralline formation, the oval atoll is 3.7 km (2.3 miles) long and 2.5 km (1.6 miles) wide. The lagoon is up to 6 m (20 ft) deep and has an area of 7.1 km² (2.7 sq mi). 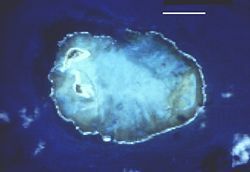 The land area of the two islets (Cemitério Island, southwest and Farol Cay, northwest) is 0.36 km² (89 acres). Farol Cay accounts for almost two thirds of the aggregate area. The highest point is a sand dune in the south of larger Farol Cay, with a height of 6 m (20 ft). The atoll consists mainly of coral and red algae. The coral ring is nearly completely closed, with a 200 m (660 ft) wide channel on the north side and a much narrower channel on the west side. Both islets are overgrown with grasses, bushes and a few palm trees. There are crabs, spiders, scorpions, sand fleas, beetles, large roaches, and many species of birds. Numerous turtles, sharks, and dolphins also make their home in the area. There is a lighthouse of the Brazilian coast guard that has been in operation and maintained since the 1960s at the Northern end of Farol Cay. In its vicinity is a derelict lighthouse from 1933. Praia Sancho beach, beyond which has been established a reserve for some 600 spinner dolphins. During the nineteenth century much of the main island of Fernando de Noronha was cleared in order to prevent prisoners from building rafts. The islands are now predominantly covered by shrublands, with some areas of secondary forest. Many of the plants currently prevalent on the island are introduced. There are no extant indigenous mammals on Fernando de Noronha, and no mammals at all on Rocas Atol. Such fruit trees as papaya, banana, cashew, tamarind, and guava were introduced to the archipelago. Introduced decorative species include the almond tree, jasmine mango, royal poinciana, eucalyptus, as well as coconut palm and carnauba. The United Nations Environment Programme lists 15 possible endemic plant species, two endemic birds including the Noronha vireo, two 2 endemic reptiles, two endemic invertebrates, and a species of Gammarus, endemic in lakes and streams. The climate is tropical, with two well defined seasons: the rainy season from January to August, and the dry season for the remainder of the year. Large populations of both migratory and resident birds are found on both Fernando de Noronha Archipelago and Atol das Rocas. The largest bird breeding colonies of all islands within the Tropical South Atlantic, and the largest concentration of tropical seabirds in the Western Atlantic Ocean are found here. The area is considered a Global Center of Bird Endemism. Migratory species on Fernando de Noronha include the black noddy, brown noddy, sooty tern, fairy tern, red-footed booby, masked booby, and red-billed tropicbird. Atol das Rocas provides the largest breading colonies of the masked booby and brown noddy in Brazil and of sooty tern within the South Atlantic. A Red-footed Booby in flight. Masked Booby with chick, a migratory species that breeds on Atol das Rocas. The Magnificent Frigatebird, a migratory species found on Fernando de Noronha. Scuba diving off Fernando de Noronha, 2006. The surrounding waters are highly productive and provide a feeding ground for such species as tuna, billfish, cetaceans, sharks, and marine turtles as they migrate to the eastern Atlantic coast of Africa. The islands rise in the open ocean, providing a key location for the processes of reproduction, dispersal and colonization by marine organisms. The Baía dos Golfinhos area of Fernando de Noronha is home to the world's largest known population of resident dolphins. Brazil's second largest reproductive area for green turtles is the Rocas Atol, after Trindade Island. It is an important location in the protection of endangered and threatened marine turtles, particularly the hawksbill turtle. Rocas Atoll contains a spectacular seascape at low tide when the exposed reef surrounding shallow lagoons and tidal pools forms a natural aquarium. Both the atoll and the archipelago are popular sites for scuba diving, recognized by divers the world over. Warm water and exuberant subaquatic fauna and flora can be found in dives from 25 to 40 meters (80 to 130 feet) deep. 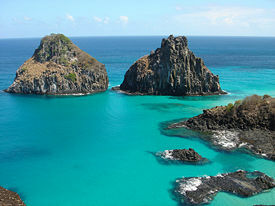 In the early twenty-first century, Fernando de Noronha has a stable population of less than 3000 inhabitants, concentrated principally on the main island. There is also a small transitory population of researchers and tourists. Many consider Fernando de Noronha as Brazil’s most beautiful island, with its enchanting landscape, pleasing climate, and resident dolphins and other wildlife. While tourism began in the 1970s, there is little supporting infrastructure. A World War II United States airbase has been converted to a hotel, the only one on the islands. There are also a few guesthouses and one paved, seven kilometer (4.35 mi) road. The total number of tourists on the island is subjected to limits, and visitors must pay a daily "environment" tax, which increases incrementally as one's visit lengthens. The clearing of most of the island's trees in the late eighteenth and early nineteenth centuries resulted in a serious loss of habitat. The introduction of exotic plants and animals has also had a detrimental effect. As a result, many protective measures have been established, allowing the habitat of the archipelago to recover and thrive. In 1988 the Fernando de Noronha Marine National Park, covering 112.7 square kilometers (43.5 sq mi) of the archipelago, was established. In addition to the limitations imposed on tourism, two research organizations monitor ecological impact on the archipelago. The offshore islets remain relatively undisturbed. Darwin, Charles, W. Botting Hemsley, Henry Nicholas Ridley, and Linn M. Smith. 1994. Charles Darwin visits Fernando Noronha: an illustrated narrative of one day during the voyage of H.M.S. Beagle with particular emphasis on the plants collected : based on his diary, journal, plant notes, and herbarium specimens. Northampton, MA: Old Leaf Press. de Almeida, C. E., V. Marchon-Silva, R. Ribeiro, A. Serpa-Filho, J. R. de Almeida, and J. Costa. 2000. "Entomological Fauna from Reserva Biologica do Atol das Rocas, Rn, Brazil: I. Morphospecies Composition." REVISTA BRASILEIRA DE BIOLOGIA 60: 291-298. National Geographic Society. Fernanda de Noronha-Atol das Rocas moist forests (NT0123) Retrieved November 7, 2008. Pousada do Frances. Fernando de Noronha - Brazil Retrieved November 7, 2008. UNESCO World Heritage Centre. Brazilian Atlantic Islands: Fernando de Noronha and Atol das Rocas Reserves Retrieved November 10, 2008. World Wildlife Fund. 2001. Fernando de Noronha-Atol das Rocas moist forests (NT0123) Retrieved November 7, 2008. History of "Fernando de Noronha"